It seems that due to the peak of price and interest in Bitcoin (BTC) even the largest cloud mining companies like Genesis Mining are having trouble securing enough mining equipment in larger quantities fast in order to satisfy the growing demand. 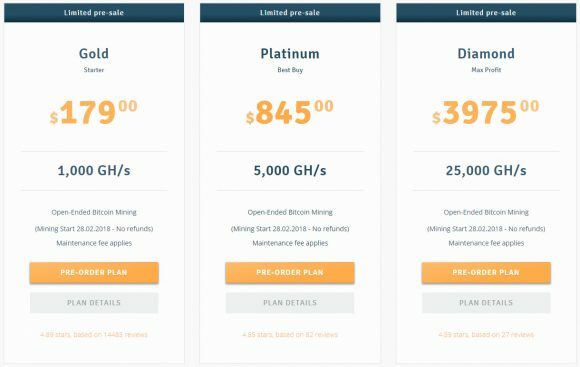 The company has started a limited pre-sale of Bitcoin cloud mining contracts with mining expected to start on 28.02.2018 or roughly more than 3 and a half months from now when you can purchase hashrate. 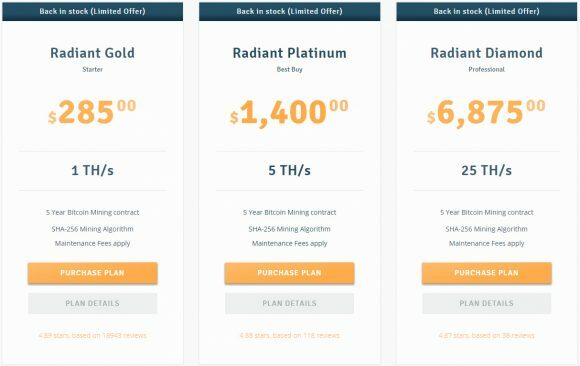 As a regular customer if you want to purchase a Bitcoin mining ASIC from Bitmain you would still need to pre-order with current batches scheduled for early 2018 shipping as well, though you can manage to find some overpriced Antminer S9 units in stock currently for sale as well. Unfortunately alternatives to Bitmain such as Canaan’s AvalonMiner 741 are also out of stock at the moment and that goes even for the less know and popular Ebit E9 miners as well. Securing Bitcoin mining hardware or even cloud mining contract for such seems to be not so easy at the moment, and even the GPU mining craze from earlier this year has calmed down and profits through altcoin mining and selling for BTC are not as high and attractive for many users. Aside from Bitcoin cloud mining hashrate the company is also selling Ethereum cloud mining contracts with immediate start and the same goes for Monero and Zcash mining contracts. Currently DASH and Litecoin mining contracts are not available, though we would be extra careful with DASH specially due to the inflow of many new X11 ASIC miners on the market and difficulty skyrocketing on a daily basis. Litecoin has been more active lately and things are moving there as well and the user interest is higher in mining capacity for Scrypt ASIC miners as well as even for cloud mining options.